This half 72" round folding table features a 3/4" plywood top with a walnut stain. The top has a clear poly coat. 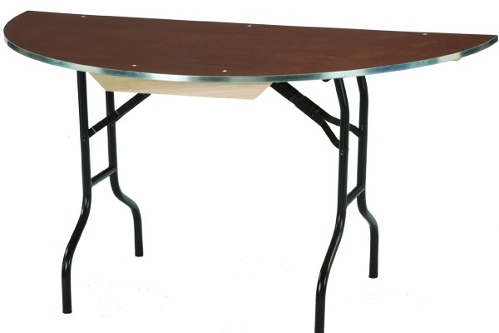 Table shown with aluminum edge mold, but its also available in vinyl edge.